Will TV Nostalgia Kill Smallville? 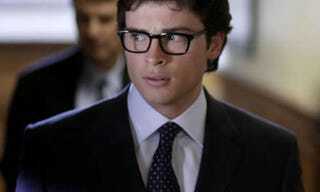 Is the ninth season of Smallville in danger because TV bosses can't let go of the past? That's a rumor going around, as the CW looks to the show's producers to reboot... Melrose Place? Entertainment Weekly is reporting that the CW is apparently talking to Smallville showrunners Darren Swimmer and Todd Slavkin to take over the reins of the network's Melrose Place revival, putting their future with the Pre-Superman series - and the future of the show itself - at risk. There're a couple of responses to this news that come to mind. Firstly, Swimmer and Slaykin, run away. Don't get involved in Melrose Place - the CW's 90210 revival almost broke Veronica Mars' Rob Thomas, and you don't want to go there. But secondly, why not just let Smallville come to an end? Its next season would be its ninth, after all, and how long can the show really keep going (Especially now that Clark is at the Daily Planet and we are, theoretically, due for him to get his tights and flights on anytime now)? While I'd, admittedly, rather see Smallville than Melrose Place, that's not enough reason to keep the show alive past its sell-by date. Maybe the Melrose deal could be the best thing that could happen to Mr. Kent.